Ex-Aston Villa midfielder Stiliyan Petrov says winning a trophy with his Sunday league side days after being cleared of leukaemia is "priceless". Petrov, 35, scored to help Wychall Wanderers win the Central Warwickshire Over-35s Premier Division One Cup. The Bulgarian told the Daily Mirror that he was advised this week that his latest bone marrow test was clear. "I am still beside my family and I have managed to play nearly 90 minutes and win a cup, it is great," he said. The former Celtic player scored a long-range opener in Wanderers' 6-0 win over Aston Manor in front of a crowd of 300 people on Thursday. "It will go next to my Uefa Cup medal. But it is more valuable than everything else - it is priceless. "After my treatment people told me I can't play football again, but now I can kick a ball again - even at this level and win something like this." 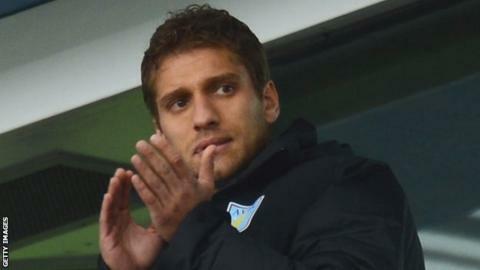 Current Aston Villa manager Tim Sherwood has also indicated he would like Petrov to return to the club and work with the first team. During seven years with Celtic, he won the Scottish Premier League four times, six domestic cups and reached the 2003 Uefa Cup final. He also won 106 caps for Bulgaria and reached Wembley twice during seven years at Villa, losing in the 2010 League Cup final and the FA Cup semi-final.